A Showcase of Horse riding and equestrian facilities in the English County of Lincolnshire. 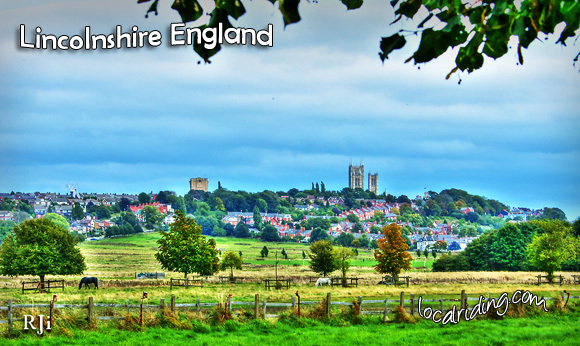 Lincolnshire is a County in the East of England and is one of breathtaking landscapes and pretty towns and villages with cobbled streets and stone built houses. 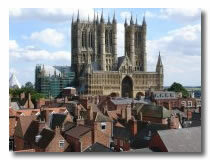 Notable places of interest in Lincolnshire include Epworth, the birthplace of John Wesley and Methodism; Lincoln Cathedral and Lincoln Castle, both landmarks on the Lincolnshire landscape. Lincolnshire has a rich equestrian heritage and is home to a great many horse owners. The Lincolnshire Wolds are a great place to ride and include rolling hills and beautiful countryside that was designated as an area of outstanding beauty in the 1970’s. The above map is a showcase of Lincolnshire horse riding and equestrian services. The following pages add a little more detail about what the keen horse rider can find in Lincolnshire. Your online guide to the excellent equestrian facilities in the beautiful English county of Lincolnshire. Lincolnshire is located in the north east of England and includes areas as diverse as the Isle of Axholme, Lincoln City, Skegness, Grimsby, Louth, Grantham and Barton on Humber. Lincolnshire is a rural county and is an equestrian county full of contrasts, full of history and heritage brought to life by friendly local characters and rural English charm. Whether visiting for the first or 10th time, there’s always something new to discover in lincolnshire and there’s always a great welcome for horse riders and equestrians. From Burghley house to the Lincolnshire Showground and many individual equestrian centres; form Sheepgate and Arena UK to Market Rasen racecourse and the annual Lincolnshire show, lincoln riders love their horses. Market Rasen race-course, for instance, is an excellent local venue and a terrific day at the races. The Lincolnshire Show is celebrating its 127th year as an event in 2011. Burghley Horse Trials is the premiere equestrian and social event in the Lincolnshire equestrian calendar. Set in the stunning parkland of Burghley House, the Burghley Horse Trials are an unforgettable event for all to enjoy. Burghley is home to one of only four, (CCI ****), Three-Day Event competitions in the world; it is an event designed to be a complete test of horsemanship. The competition begins with Dressage on Thursday and Friday, then Saturday offers the thrills of the Cross Country and Sundays Show Jumping brings the event to a nail-biting finale. Did you know the famous scientist Isaac Newton and the poet Alfred Lord Tennyson are both from Lincolnshire? Or that Middlemarch (1999, Belvoir Castle), The Haunting (1994, Harlaxton Manor), Pride & Prejudice (2005) and The Da Vinci Code (2006) were all filmed in Lincolnshire? To give it its full title, The Cathedral Church of the Blessed Virgin Mary of Lincoln, or sometimes just St. Mary’s Cathedral, this is a truly historic cathedral situated in the heart of the county town of Lincoln and is the seat of the Diocese of Lincoln in the Church of England. Lincoln College supports Lincolnshire equestrian education and has a full schedule of equestrian courses. The Equestrian and Land-Based Studies department is part of the School of Sport and Leisure Studies within Lincoln College. The college has offered equestrian training for 18 years and has established an excellent reputation in the area delivering practical training for a career in the horse industry. The Equestrian Outreach programme has a number of approved centres in and around the county offering first class equestrian training by experience and professional tutors on real working yards. Local Riding’s Lincolnshire equestrian section will help guide horse owners and riders to local livery yards, equestrian centres, equestrian events and horse shows in the Lincolnshire area. It will help you care for and train your horse and it will keep you up to date with horse shows and equestrian news in the equestrian industry. Please feel free to let us know all about your own local horse riding facility or equestrian business using the form at Equestrian Service Submission. Please ensure you choose from the horse riding sections we have listed when requesting we place your equestrian details in the Lincolnshire section or on the Lincolnshire Equestrian map.